The year ‘2014’ was of content, ‘2015’ was of context, and marketers are searching ideas to make ‘2016’ the year of value . Without value in your products or services, your business may get derail and it can seriously do damages. “You should never take more than you give”. Remembers the lyrics from Elton John’s song? It’s time that you give more to your users/customers than what they would ask for. Simply, provide them something valuable when they interact with you. The user has become more sophisticated and clever in recent years. Everyone is asking for quality in exchange of money they spend on products and services. Nowadays, customers are expecting that content should come to them – and you have to create an environment where your users feel that they are naturally interacting with the content. Marketing demands time and you have to be very patient to accessing things that works for you and your audience. Don’t see the dead end after a week or so. Many key players in the industry had to see several failures before carving their place and influencing others through their stories. Plan content specifically for one platform and focus on promoting it there, rather than taking a shortcut and using same content across all mediums – which will create a huge mess and confusion. It’s time to reach your audience through Video Consumption. Youtube and Video are your calling cards. Predicting when and where your consumer is going to consume media has become very hard. The virtual world is changing with a lot of new platforms and tools being introduced every day to the world. On an average, a person checks phone 150 times a day. Now this is a valuable fact and knowing we have 150 opportunities to interact with the customers and engage them with something incredible; the planning and researching or innovation has become really important to gain the attention. Each time we pick up our phones, we look to have something different, which can bring a smile on our faces. There’s a gold pot on the other side of the rainbow. Those uncanny moments ca be a real game changer and your business can take a huge leap in the right direction. Don’t be sceptical. Take it easy and work in the direction of influencing your customer. No force ever works in the digital world. Either you win their trust and you lose them forever, the choice is yours. However, if you influence them before they even buy or decide to buy the product, you increase chances of sales. 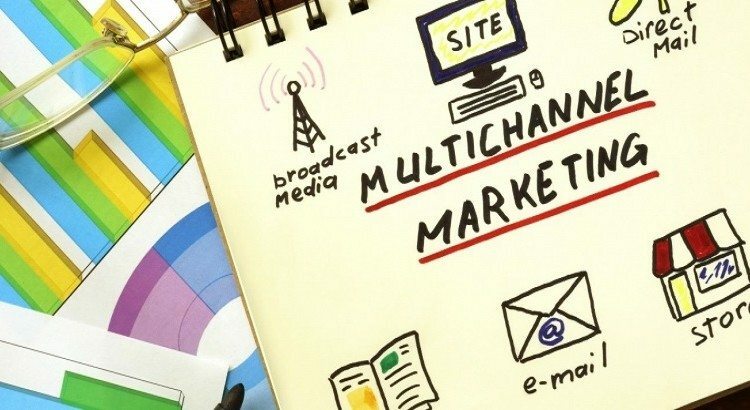 Regardless of any channel, omnichannel marketing focuses on providing an interconnectedness among touch-points, so the audience can interact with your brand hassle free. Representing one voice and one mind boosts your company’s authenticity among your audience and they are going to identify you through them, across all mediums. Nowadays, having responsive website or mobile application fuels it to reach success at a faster speed. Since billions of smartphones have been sold, it has become extremely important how businesses are going to target their mobile audiences. You have a lot to determine before accelerating your marketing campaign. For instance, determining cost and timeline – and also which mobile platform is suiting your business and satisfying your customer. As no business will like to disrupt the mobile experience of their customers. Hence, business should find the ways to create a smooth streaming of relevant information by influencing potential customers to convert into sales. While responsive websites and mobile application are beneficial, there are many businesses who are short of funding and can focus on one thing at a time. Hence, to find the actual utility, you have to see, which thing is providing you what the other doesn’t. After evaluating you have to scale them, and see which outweighs other in terms of benefits. Technology has revolutionized the market and has also evolved trading and selling. Every day, new challenges await marketers, so does seamless opportunities. Rather than allowing the challenges to bash you down, you should bridge the gap between you and the success. Use challenges as stepping stones and understand how to remain visible in audience mind so you can tackle with the unidentified hurdles. As we mentioned above that this year is going to the year of value, content should be the focus along with context. While context is providing value to your customers, still; content is the king and it should not get overlooked while chasing value. The bottom line is; deliver content with context – and it will lead you on the path to overwhelming success. To really gain the trust, you have to create data that helps you in the better understanding of your customer inside and out. After collecting necessary information and analytics, you can understand your audience from the core and can figure their different needs and personalities. It all leads you to make a master plan that can help you in foreseeing what you really need and which data you will need to interact with your audiences. What does your client want? What are the real challenges he’s facing to grow its business? Have you really done your thorough research or accessed the industry to gain deep insights in finding the solution? People want something all the time. Businesses should stop copying others and look for their own creative ideas to welcome success at the doorstep. A good creative strategy is something that should be your great asset because it differentiates you from the rest – and you create your unique visage virtually. Use your omnichannel marketing strategies to create ideas and execute them proper for the best results possible. At the end of the day, your real audience matter to whom you are targeting – and you have to create flawless strategies to influence your audience, without wasting your time and energy in the wrong places. Days are over for SEO practices when the main target was keywords targeting and building strong back links. Nowadays, SEO is more of building brand identity. Optimizing research and closely analysing customers’ behaviour, likes and dislikes and creating content to hit the bulls eye, is what SEO experts have to do. See your customers as living identity, not robots, will help in creating something valuable that will bring profits to the table at the year’s end. PR also plays a huge role by circulating the memorable content and creating a brand identity which can influence the targeted audience in a better way. Everything should be in synchronization. Moreover, a strong presence on social media adds icing on the cake. Search engines rules have been changed ridiculously. When SEO (Search Engine Optimization )` was spanning its wings across the world, there was a huge debate between the supremacy of offsite and onsite recognition. Nowadays, it’s all ends with quality. The quality links and creating your presence across all channel is your trump card. Reviews either can make you or break you. Nowadays, a lot of sale percentage depends upon the reviews from the peer. If your website has a good rating and had been ranked positively on various news websites, then you are likely to gain leads without worrying much. Hence, you need to pamper your audience, employees, clients and see, what they really want.